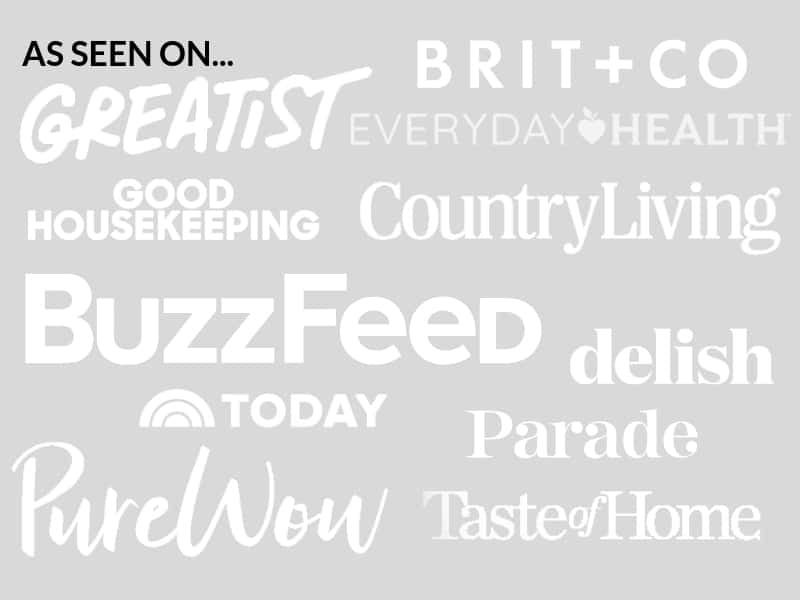 May 31, 2017 By Elizabeth Lindemann Leave a Comment / This post may contain affiliate links. 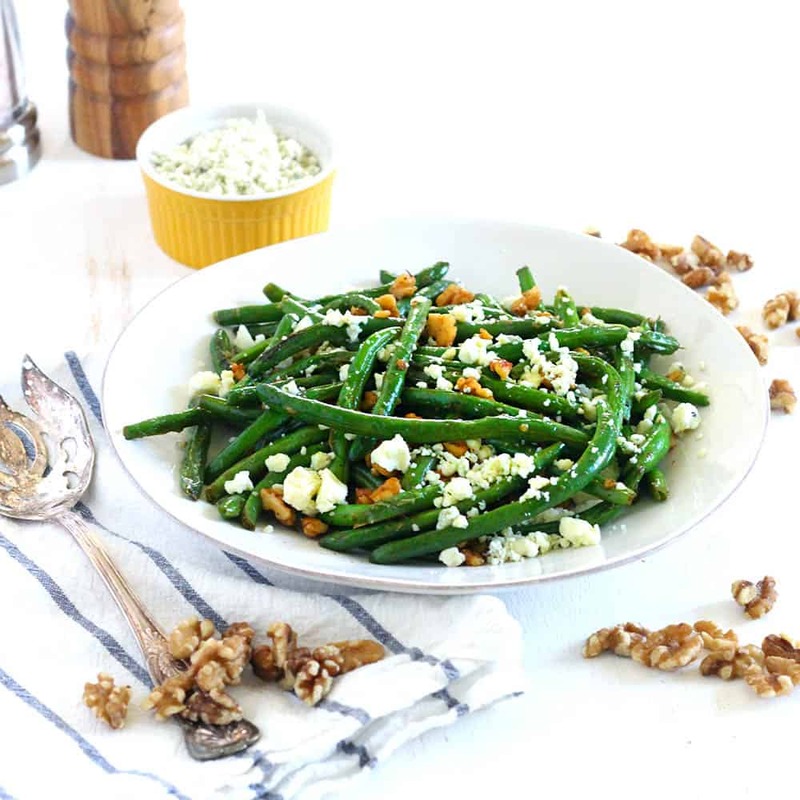 This Sautéed Green Beans with Bleu Cheese and Walnuts recipe is a wonderful way to eat more healthy green vegetables. It’s fancy enough to be served at a dinner party and quick/easy enough to make on a casual weeknight (it takes only 10 minutes total!). It’s healthy, gluten-free, and low-carb. 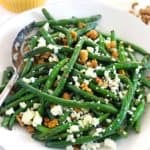 The bleu cheese crumbles melt slightly over the green beans and create a sharp, tangy coat over every single bite that’s out of this world. You can make these for Thanksgiving, or Christmas, or Easter, or on any random day you choose. Green beans are a wonderful year-round side, but are particularly in-season in the springtime. I have some almost ready for harvest in my backyard vegetable garden right now! And I’m almost certainly going to be making this recipe again with them. Green beans are one of my favorite vegetables. I love that they are delicious raw, crisp-tender (like in this recipe), or cooked for hours until soft and mushy (like Southern-Style green beans). They have a unique flavor that stands up on their own but they also tend to absorb all the flavors around them. They are super healthy and packed with vitamins, fiber, and nutrients. While technically a legume, green beans, along with snow peas and snap peas, are unique because you eat the pod as well as the beans inside the pod. This makes them more akin to a green vegetable in terms of nutrients (which is why they are Paleo and Whole30 compliant) since they are more pod than bean. Cooking these involves nothing more than a gentle sauté in a large skillet (I used my 12-inch Calphalon Tri-Ply Stainless Steel Skillet) in olive oil with plenty of salt and pepper. 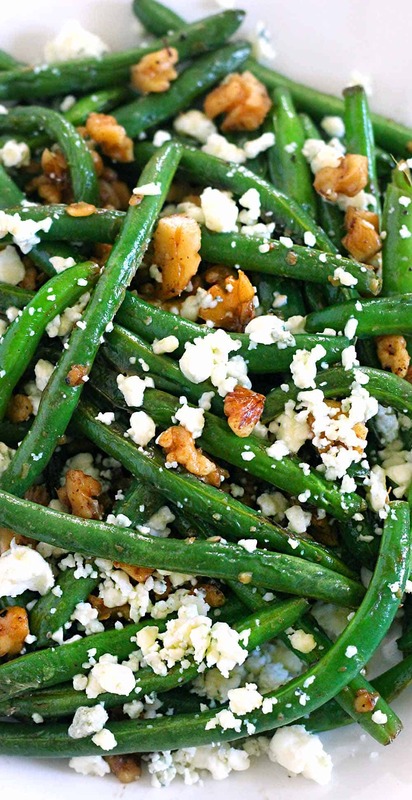 Then, the green beans are moved to a plate and sprinkled with walnuts and bleu cheese. If you want to get fancy, you can toast the walnuts in the skillet before hand. If you’re not a fan of bleu cheese, I recommend using crumbled feta, goat cheese, or queso fresco as a more mild-flavored substitute. We had these for dinner as a side to last week’s recipe post: Crispy Honey Buffalo Chicken Thighs (because bleu cheese and buffalo chicken are a match made in heaven!). 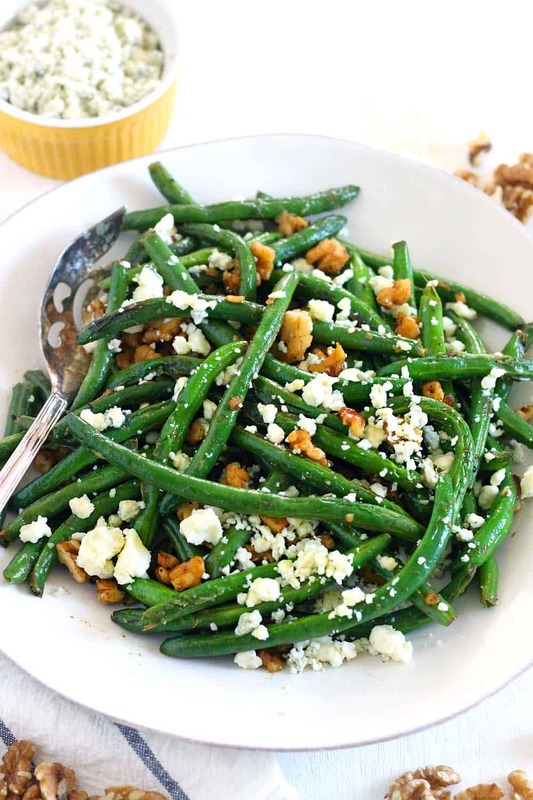 Recipe for Sauteed Green Beans with Bleu Cheese and Walnuts below! 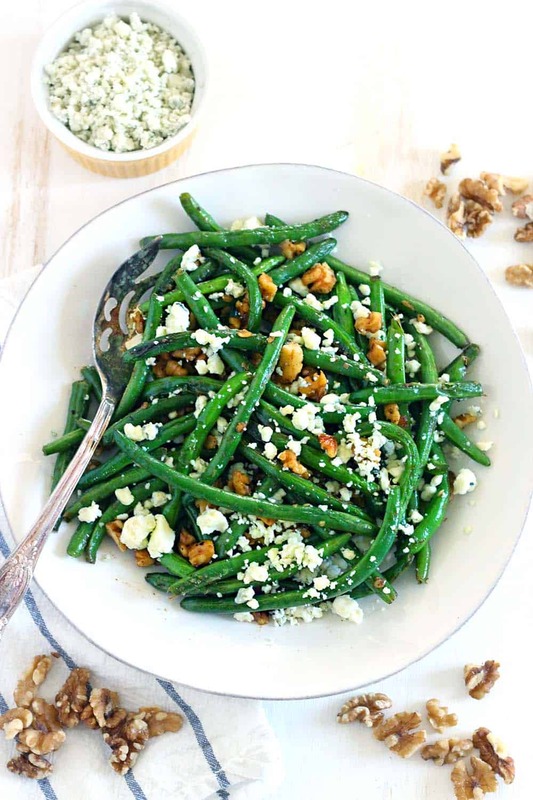 These Sautéed Green Beans with Bleu Cheese and Walnuts recipe is a delicious way to eat more healthy greens, it takes 10 minutes, and it's healthy, gluten-free, and easy to make. Goes perfectly with anything buffalo flavored! Add the green beans and sauté for 5 minutes, stirring occasionally, until crisp-tender and beginning to brown on the outside. Remove from heat and transfer to a plate. Sprinkle the walnuts and bleu cheese on top. If you're not a fan of bleu cheese, I recommend using crumbled feta, goat cheese, or queso fresco as a more mild-flavored substitute.